FIFA president Gianni Infantino arrived in India on Thursday ahead of Saturday's FIFA U17 World Cup final. 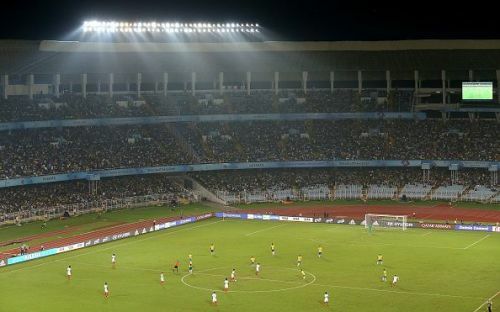 The FIFA president will attend the match between England and Spain at the Vivekananda Yuba Bharati Krirangan, Kolkata. Infantino attended the FIFA Council meeting in Kolkata on Friday, praising India's efforts in successfully hosting the FIFA U17 World Cup. "India is a footballing country now," said the FIFA chief as he landed at the city of joy. He thanked the people here for successfully hosting the World Cup. "Thank you very much all the Indians. It's a great pleasure to be here.". 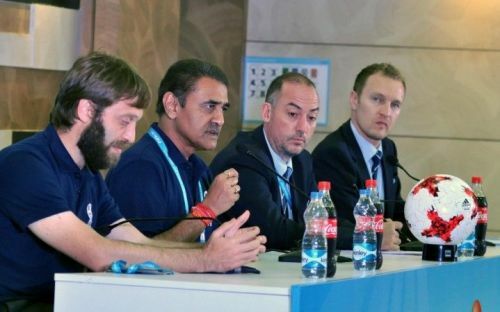 All India Football Federation president Praful Patel also was present at the press conference along with FIFA president Infantino, Jaime Yarza, head of events at FIFA, and the FIFA U17 World Cup 2017 director Javier Ceppi at the Salt Lake Stadium. Jaime Yarza, head of events at FIFA, thanked the LOC, AIFF and the fans for making the Under-17 World Cup a huge success. He said, "The attendance is really great and it depicts that India is indeed a great footballing nation". "India boys have shown great spirit and they have shown very good tactical approach. India should be proud of them. "The training sites are very good and the teams were very satisfied in every sense. It shows the huge potential that Indians are capable of delivering a senior football team world cup now." The AIFF president said that the Government of Assam and the people in Guwahati tried their best to host the semifinal in Guwahati but unfortunately it had to be shifted to Kolkata. He added "The semifinal in Kolkata has been a resounding success. Staging a game overnight and filling up the stadium shows our passion". Patel had a discussion with the FIFA officials later in the day and discussed the future developments in Indian football. Indian had earlier expressed their interest in hosting the FIFA U20 World Cup in 2019, and with the successful completion of the FIFA U17 World Cup, India's chances of hosting the World Cup will be higher.